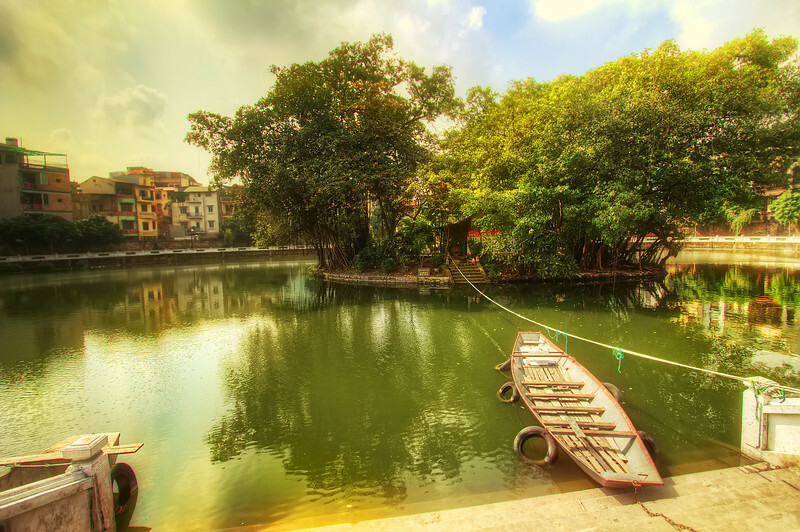 I came across this small lake and island right in the city of Hanoi in Vietnam. Congested buildings surround the entire lake and there are busy cars and motorbikes whizzing past. But as soon as you approach the lake all the noise fades out and you forget that you are in a city as the scene looks and feels so peaceful.